Fair Housing Act violations: The Fair Housing Act prohibits landlords from discriminating against applicants by race, class, gender, disability and other variables. To avoid allegations of discrimination, screen all applicants the same way and use an application that features no discriminating questions, such as that offered by American Apartment Owners Association. Illegal lease clauses: A landlord cannot include clauses in the lease that violate state or federal laws. For instance, you cannot place a clause in the lease where tenants waive their right to sue you, their landlord. Such a clause would be illegal, and would void the whole lease were it to be included. If you’re concerned about accidentally including something illegal, then it’s wise to download a customizable lease template that has been vetted for legality. Not disclosing to renters: If someone recently died in the apartment, there was mold, or there is known lead paint in the apartment, you must disclose this information to renters. Entering apartment without giving notice: When the unit is occupied, you cannot enter whenever you want, even to make requested repairs. Provide tenants with 24-hour notice — except in cases of emergency — to avoid violating this law. Failure or refusal to make repairs: As a landlord, you are responsible for keeping an apartment habitable by providing electricity, plumbing, heating, clean water, and a sound roof and floor. While it’s your tenants’ responsibility to pay the utility bills, you must make repairs to these systems should something go wrong. If you don’t make a timely repair, renters have the right to pay for the repair and withhold that amount in rent. Mishandling security deposit: The security deposit covers accidental or purposeful damage to the premises, but it does not cover normal wear and tear. Failure to return the security deposit or mishandling of the deposit (such as using it to pay for damages within “normal wear and tear”) could land you in court. Not keeping the premises safe: As a landlord, you must keep the rental safe for tenants and inform tenants and visitors of any known hazards, such as a dangerous stairwell. If someone is injured on a known hazard, which you did not repair, you are legally liable. Not using the eviction process: If you try to evict a tenant without following the law, it will backfire. Want to stay up to date with legal requirements for landlords? 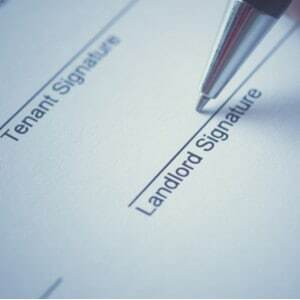 Join American Apartment Owners Association to receive first-time landlord advice and downloadable landlord-tenant forms.